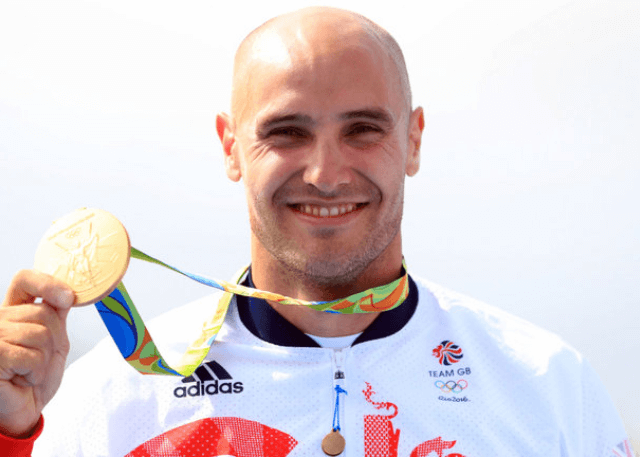 Liam Heath is Britain’s most successful Olympic kayaker. He is a gold medallist in the K-1 200, silver and bronze medallist in the K-2 200. In 2009 he began a partnership with Jon Schofield. Together they are two-times Olympic medalists, three-times European Champions and have taken home silver and bronze medals at the World Championships and multiple medals in the World Cup series. In 2011 Heath and Schofield received Olympic Athlete of the Year awards in canoeing from the British Olympic Association. During his illustrious career, Heath has racked up a total of thirteen 1st place and fourteen 2nd place titles across Olympic, World and European events. Individually in the 200m kayak sprint, Heath is the current Olympic gold medal holder and European Canoe Sprint Champion. At the European Championships in Plovdiv, Bulgaria, Heath successfully defended his K1 200m title in a World-best time of 33.38 seconds. A month later, in a time of 33.73 seconds, Heath took gold at the ICF Canoe Sprint World Championships, achieving a triple grand-slam of European, World and Olympic titles within a calendar year. In 2017 Heath was awarded the MBE in the Queen’s New Year Honours list for services to canoeing.